It’s a common intro to a Nigerian 419 scam, but I’ve never seen it in physical print. 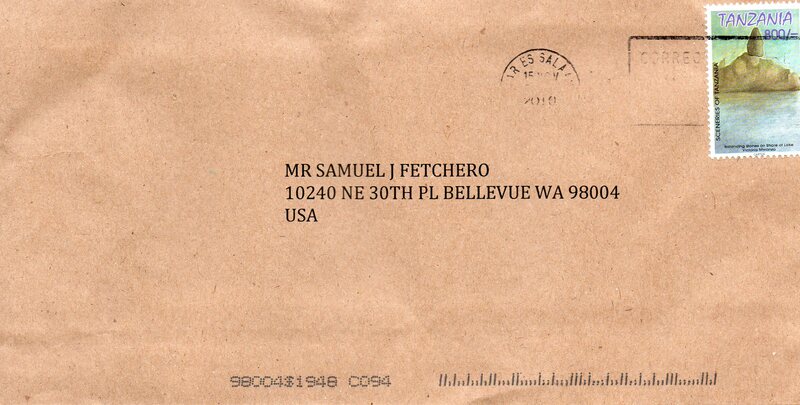 That is, until I opened my mailbox last night to this envelope with a stamp from Tanzania. The letter was sent from Dar es Salaam, the largest city in Tanzania, and took 15 days to arrive. Think our postage rates are high – it costs 800 Shillings to mail a letter from Tanzania. 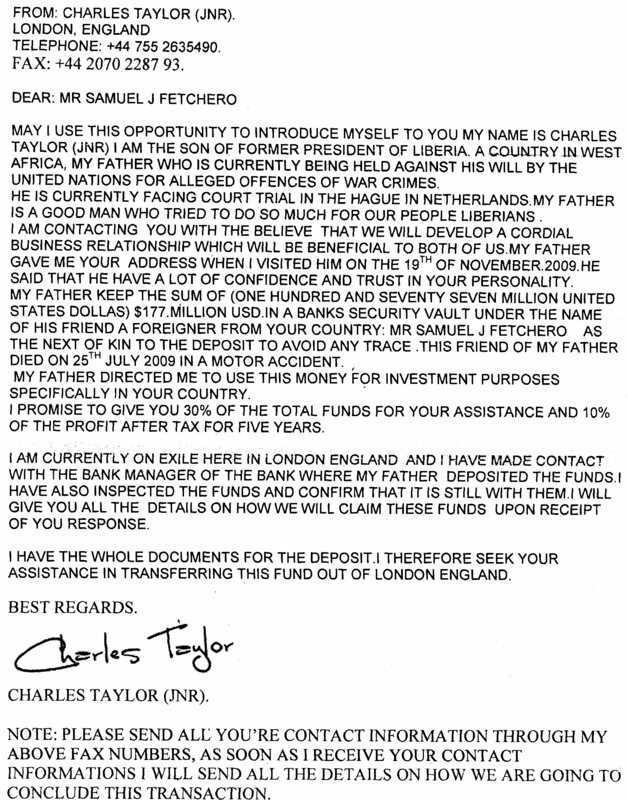 Inside, the letter was the same as any other Nigerian scam. There were some nice touches, however. My full name was included in 2 places in the letter. Most interesting to me is a look at the economics of sending a letter like this. 800 Tanzanian Shillings is roughly $0.54 USD. Adding paper, ink and an envelope, let’s round it it to a nice $0.75 per letter. What’s their response rate? I’d have to guess below 1 basis point, or 1 out of every 10,000 letters. The average profit per scam is probably somewhere in the $10,000 range. In the scenario I laid out, the scammers would net roughly $2,500 per 10,000 letters, with an ROI of 133%. The scammers need about 1 out of 13,000 people mailed to be duped to break even. Also, if I’m too generous in my assumptions (lower response rate, lower scam $ amount), then the scammers are probably in the red. For email, the scammer have no costs to speak of, so it’s extremely profitable. This type of scam is an easy no-brainer… just send it to every email address you can get your hands on. But for snail mail, the economics aren’t nearly as lucrative. Maybe the Tanzanians/Nigerians are running a test in a new channel. What would have happened if the Big 10 had 12 teams this year?